The above products are recommended for installation or mounting of the 6800 Handrail. The 6800 “Prestige Light” Handrail is slim and compact. Simple, with a touch of elegance, the 6800 features billowed edges and a smooth curved top. This handrail is great for smaller stairways or spaces that require a more subtle handrail. 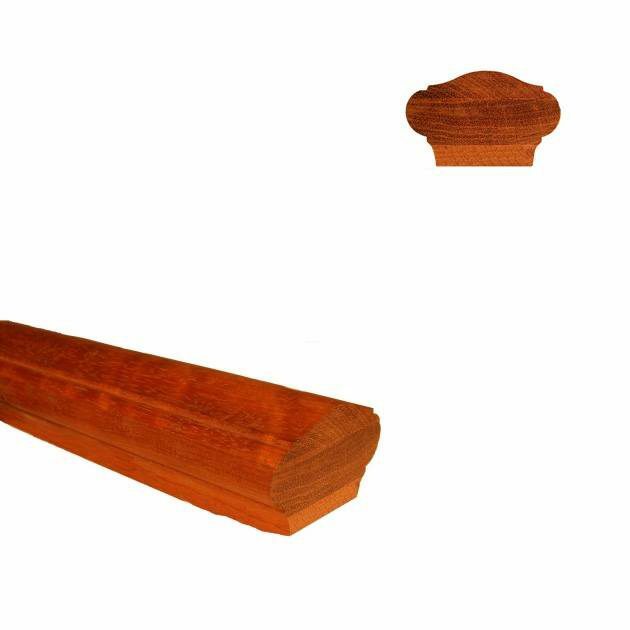 Square-Top Baluster Mount: The 6800 Handrail can be plowed at widths of 1” and 1.25” to accommodate Square-Top Balusters. When ordering plowed handrails, don’t forget to include Fillet in your order to fill the openings between balusters after installation. Bracket Mount: The 6800 Handrail may also be mounted using Handrail Brackets for Wall-Mounted Handrail. Be aware of code requirements in your area. Most codes require wall-mounted handrails to terminate into a wall. For that reason, Quarter Turn and 45 degree Mitred handrail endings may be necessary. Plow is a channel cut into the bottom of the handrail. 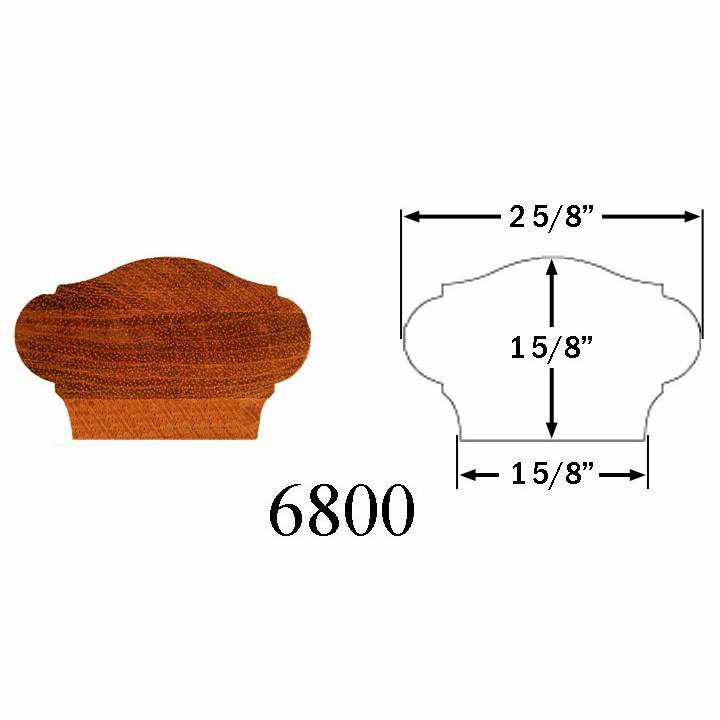 This is only needed when purchasing block top wood balusters. Handrail sample available? Which newels are a good match? Thank you for your questions, Jaime. Yes. Samples are available for you. You can simply click here to reach that web page. 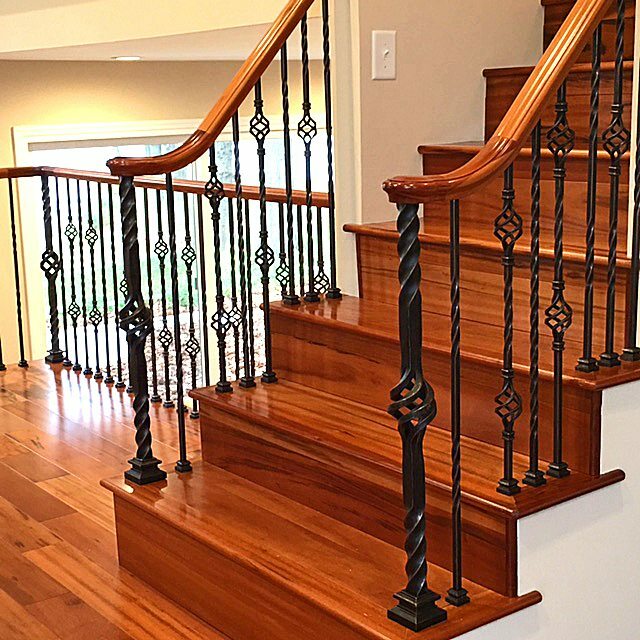 As far as your question about newels, there are many options that would work well with this handrail. 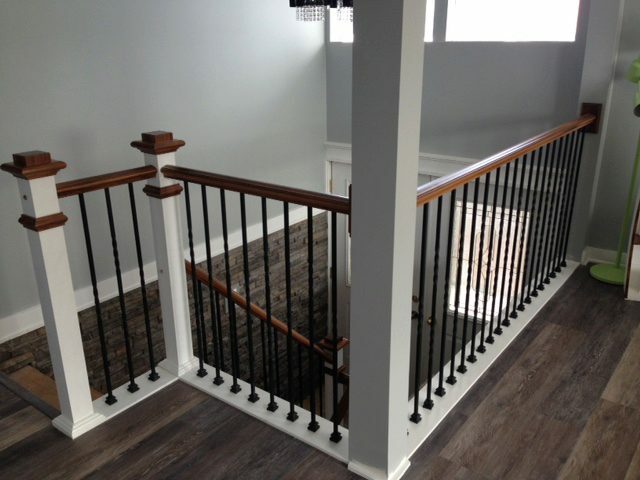 We really like the 4600 Ranch Box Newel as shown in this completed project #197. 1. could I use this as a wall mounted hand rail? 2. I’d like to purchase a 16 foot long piece unfinished and cut 3 feet off to add a small hand rail at the top of my stairs (there are 4 steps as you turn right at the top of the stair case where where I’d like to add a railing and the rest will replace my existing railing). Will this wood cut well on a miter saw? You could absolutely wall mount this handrail profile, and we can provide it in 1 foot increments between 3 & 20 feet. We offer this profile in 25 wood species, so we’d recommend doing some research on what wood species you would like to match the existing wood products in your home and how they will perform when mitered. 1) The end of this 6800 handrail looks like it is already cut with the pattern at the end so no end piece is needed. Is that correct? 2) What is I need a 32″ section? The handrail should look good with or without a fitting on the end, that is strictly a personal preference. The shortest length that we sell is 36″ but it can easily be cut to the length you need.